Christ called each one of us to share a common life and witness to his love together. Our religious community is a both a precious and joyous gift, and foundation of our communion with Christ. Jesus Christ is the center of who we are and he gives us the grace to witness as a family to his love and mercy. 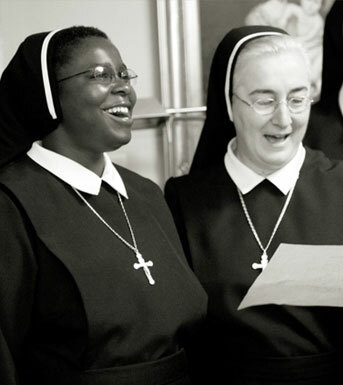 The Sisters of Our Lady of Sorrows cherish the gift of living in community, which is an integral part of who we are as consecrated women in the Church. A true family spirit characterizes our commitment and life together. Called and drawn to live together by His grace, our community directory states that our life is “animated by the gospel and nourished by prayer and listening to the word. The presence of this communion is seen in generous self-denial, and it is characterized by joy and hope that springs from the fruitfulness of the cross.” Our efforts toward living true communal life are motivated by our love for Christ who has called each one of us to follow him in a very radical way. Following the example of our Mother, Elisabetta Renzi who placed us under the patronage of Mary, Our Lady of Sorrows we share our joys and our sorrows knowing that we are one big family striving for holiness together. Community life, which is the full realization of the Christian life, is a value in itself and as such should be fostered at all cost. This life should be seen by our brothers and sisters in the Christian community as a model of the complete fulfillment of lifein Christ.